There have been a lot of reports lately of people being ejected from political rallies. Typically, the person being ejected is called a “protester.” Some have interrupted the speaker; others have not. Is it legal for the police to be removing these people just because the speaker doesn’t like their ideas? In one case, it sounds like the students were threatened with arrest (for trespassing?). Does it matter if the rally takes place in a public location (like a public college) or a private establishment? 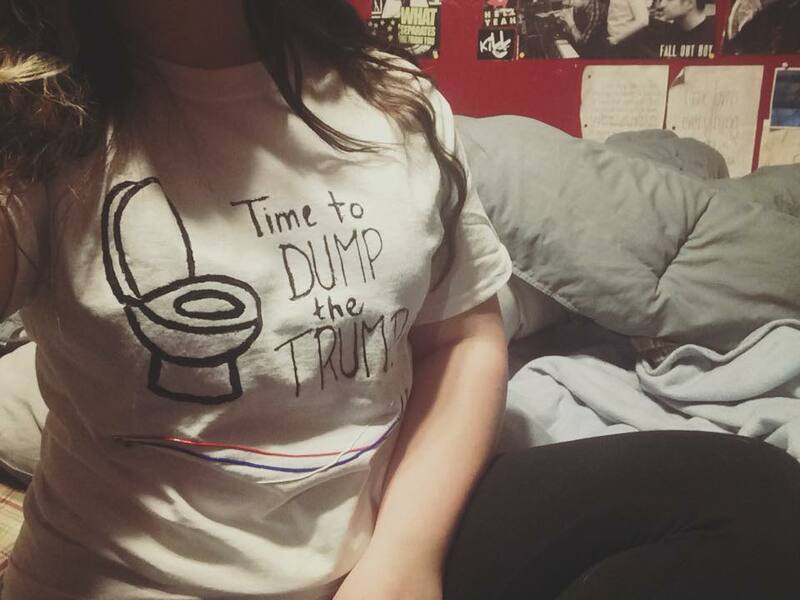 The woman’s shirt in the article you link to—a white T-shirt illustrated with a toilet and the phrase “Time to Dump the Trump”—brings to mind something my father always told me: Dress for the Trump Rally you want … and make sure to use puffy paint when you’re drawing the toilet. Or something. Presidential candidates have always been targets of protesters at rallies, but it feels like the current election cycle is the Protest Fiesta of the Millennium (So Far), with some candidates—maybe one in particular—using rally disruptions to further work his or her (his) supporters into a frothy lather of a frenzy. Nobody has ever handled protesters better than Progressive Party candidate Teddy Roosevelt, who, immediately after being shot in the chest in 1912 by a man who apparently did not like Teddy Roosevelt, kicked off his campaign speech with, “Ladies and gentlemen, I don’t know whether you fully understand that I have just been shot, but it takes more than that to kill a Bull Moose.” It was the blood seeping through his shirt for the duration of the following 90-minute speech that really drove the point home.